Stephen Bodio's Querencia: "James Bond's Armourer"
Geoffrey Boothroyd really did write me on Model 12 Winchesters. 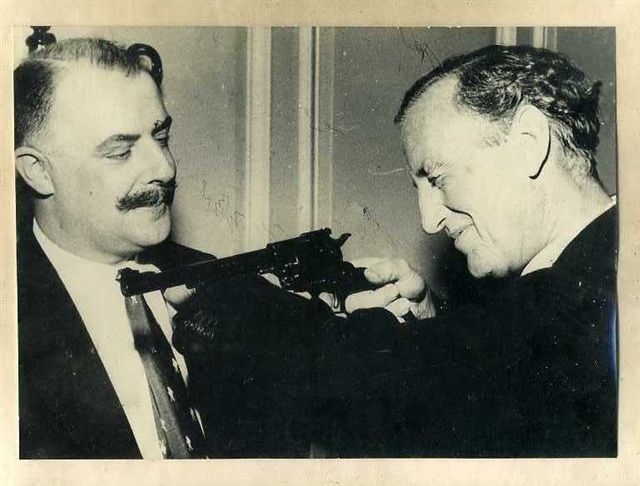 He also really held that "position"- a critical letter to Ian Fleming on guns, early in the series, led to Fleming's whimsically writing him into the books as a character. With Fleming, early in his career. Here is the Winchester letter. He later provided an intro to John Hill. "Johnny UK", who became a good friend, over our mutual interests in Darnes. Of course it was a young and beautiful Betsy who, with Joan van Ness, attended a wild party at Goldeneye, Fleming's Jamaica estate. Everybody knows everybody. 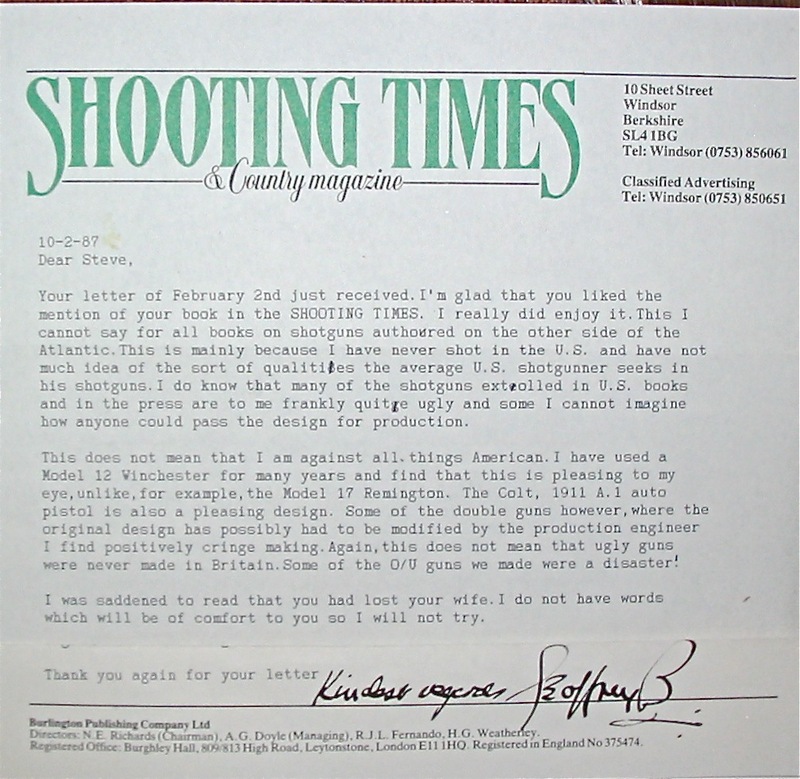 I also had correspondence with Geoffrey, but have lost the copy! Geoffrey, James Wentworth Day, Colin Willock, and especially Gough Thomas ( who was a fellow Electrical Engineer), were my heroes in the 70's and fuelled my passion for "all things game shooting" !.